Howard Huge had the most liked content! Howard Huge replied to Mab's topic in Going Up! My buddy is the tower crane operator for this one. I'll post some cool stuff soon. Howard Huge replied to largeTEXAS's topic in Going Up! Jeez, I have missed a LOT. This was always my favorite resi high rise, I remember wishing so hard it would get built, AMAZING! Howard Huge replied to lockmat's topic in Going Up! This is going to be a parking garage, right? Howard Huge replied to barracuda's topic in Going Up! Yes in fact, that was us. I got to help out on that job, it was lots of fun! Im not sure because I haven't been downtown in a while, but I heard my buddy is going downtown in the 500 ton with luffer this weekend to tear down a Bellows tower crane. Does anyone know where this might be? Don't know if I'll be there on the job or not, but if I go I'll take some pictures or ask him to take a few. Its called a jib (if its a tower crane), not a boom And since they don't like to build jibs in the air one section at a time, they normally put the entire jib together on the ground and install it in one lift, as seen in the pictures above. A tower crane isn't strong enough to fly the entire jib to the top of another tower crane, much less the counterweights, it would be out of chart. Oh my f*****g GOD that is a beautiful building! Sorry guys, my friend got the job as the crane op on this project. He says theyre just expanding the parking garage, making it even more massive. I think they just want to generate more parking revenue. Exactly Lock! Thats always been my argument. I actually went into detail about the founding fathers and everything you just touched on, but they did some heavy editing. Overall I'm happy with the final product, it was a fun little piece to film. Wait, so all this will ever be is a parking garage? Or will "phase 2" be a tower? I cant believe I'm saying this, but........they've actually managed to make the GRB....not that ugly anymore. what does your HAIF AVATAR symbolize... why did you choose it? I box. 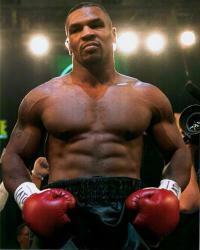 Mike Tyson is one of my boxing idols. Howard Huge replied to Dakota79's topic in Going Up! That Veronica is so damned hot, oof.